Action: Antiseptic, dye, and protozoacide. Initially developed in 1912, acriflavine was obtained from coal tar and is available as an orange-brown powder. It was first introduced as an antiseptic and was used during WW1 to combat the parasites that caused sleeping sickness. At one time it was used in the treatment of gonorrhea but has since been replaced by more effective antibiotics. Acriflavine is now used primarily as a topical antiseptic and is often mixed with proflavine for commercial preparations. In the aquarium hobby, it is used to treat a variety of ailments from fungal infections in fish to disinfecting and treating open wounds. Acriflavine is also used to disinfect fish eggs, thus preventing egg loss to fungus. It may also be used as an alternative to Malachite Green for the treatment of disease in scale-less fish such as catfish, elephant-nose, and some members of the Characin family. Oödinium pilularis - Also known as Velvet, this is actually caused by a parasite. Flavobacterium columnare - Known as Columnaris or Cotton-Mouth disease. Fin Rot - Fins and tail become ragged and frayed, in some cases almost completely eroding. Egg Fungus - works as a mild disinfectant for fish eggs. Saprolegnia - A fungal infection of freshwater fish. Acriflavine can be used as a bath or dip, or it can be added to the aquarium water to treat the entire tank. However, caution should be used in treating an entire tank, as it will stain artificial plants and decorations in the tank. To avoid staining, remove those items before treatment. Acriflavine will severely damage live plants and is therefore not recommended for use in live planted tanks. Instead, treatment should be carried out in a separate hospital tank, or if that is not possible, the live plants should be removed before treatment is begun. Carbon and similar products will remove acriflavine from the water, and must be discontinued when acriflavine is used. An acid pH (below 7.0) will inhibit the efficacy of acriflavine. Wait for at least thirty minutes after using API Stress Coat, Kordon Novaqua, Kordon Amquel, Jungle Start Right, SeaChem Prime, and other Redox Reducing water products. Ammonia absorbing or phosphate absorbing products, as well as Methylene Blue and antibiotics, will not impact the efficacy of acriflavine and can be safely used together with Acriflavine. Do not use Acriflavine with shrimp, crabs, or other crustaceans. Manufacturer's Directions for Use: Add 1 teaspoon per 10 gallons of aquarium water. Treat daily after 25% to 50% water change. Adjust dose to match the amount of changed water. To use as a bath (for preventing bacterial infections of fish eggs): Add 1 teaspoon per 5 gallons of water. After the eggs hatch, remove Acriflavine-MS by use of carbon and/or water changes. Use one dose only. Manufacturer's Directions for Use: For best results, remove activated carbon or filter cartridge from filter and continue aeration. For each 10 gallons of water empty one packet into the aquarium. Repeat dose after 48 hours. 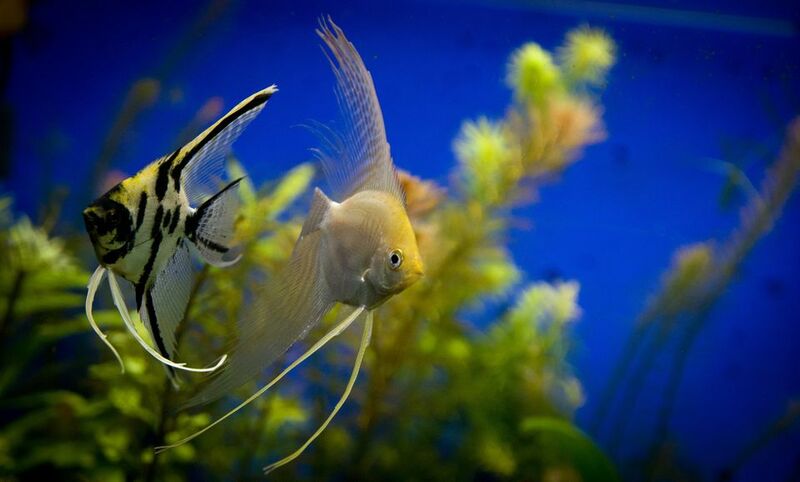 Wait another 48 hours, then change 25% of the aquarium water and add fresh activated carbon or replace filter cartridge. 10 count power packets for Fungus Cure treats up to 100 gallons. Two doses required for full course of treatment. Also available in a liquid form in 1.25 and 4-ounce bottles. Manufacturer's Directions for Use: Add one tablet to every ten gallons of aquarium water.